This ring was carved from sterling silver and fabricated to fit a beautiful dual colored piece of art glass found on the Santa Cruz shore. The green and opalescent white sea glass takes on a golden hue when in the sun. 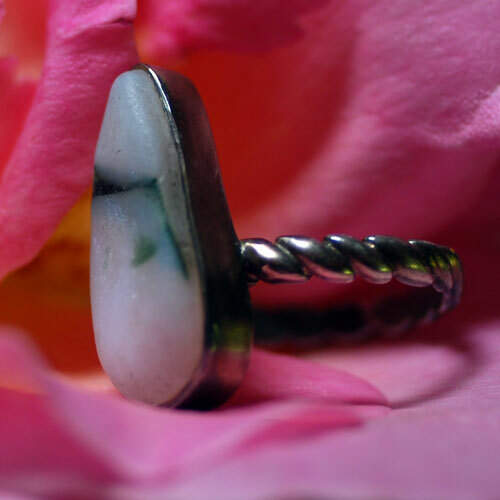 The sea glass is set in a cup bezel, formed from sterling silver.